Calling all wits! This post is for you. Today we’re launching our weekly O Caption! My Caption! Contest here at People, Places and Bling! Give us your best caption for the photograph above. Simply leave them in the comments box below. We’ll showcase our favorites in the PPB! photo gallery. Get silly. Give us your awe! Yes, Team Bling is all for puns, and puns for all. 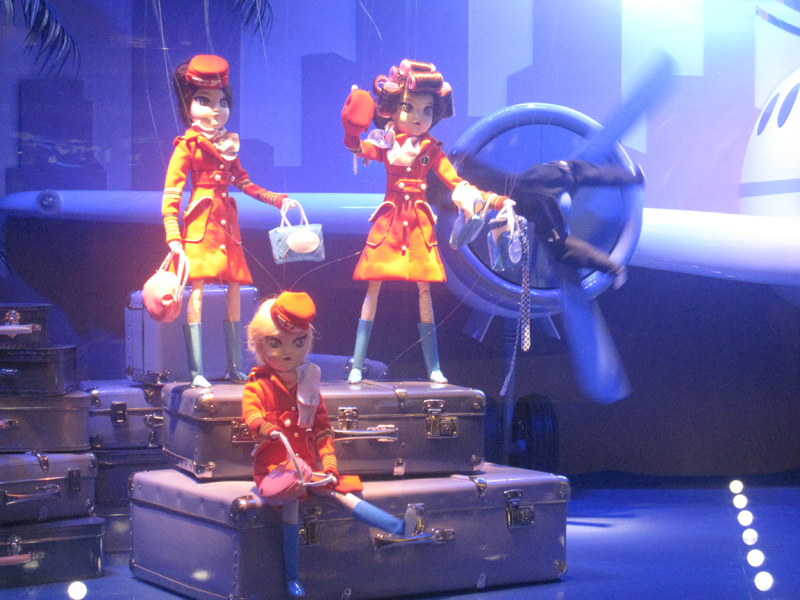 Karl Lagerfeld’s “Noël, Rêves d’Evasion” animated window spectaculars at Printemps were created by Jean-Claude Dehix, a master artist of puppets and marionettes with decades of experience at pulling all the right strings. And spools of it! Dehix uses 32,000 feet of nylon (that’s about six miles!) in each window. The mind reels! Here is another fun tidbit. During the course of the two-month exhibition, the animated marionettes will strike the same poses five million times. Practice makes perfect? 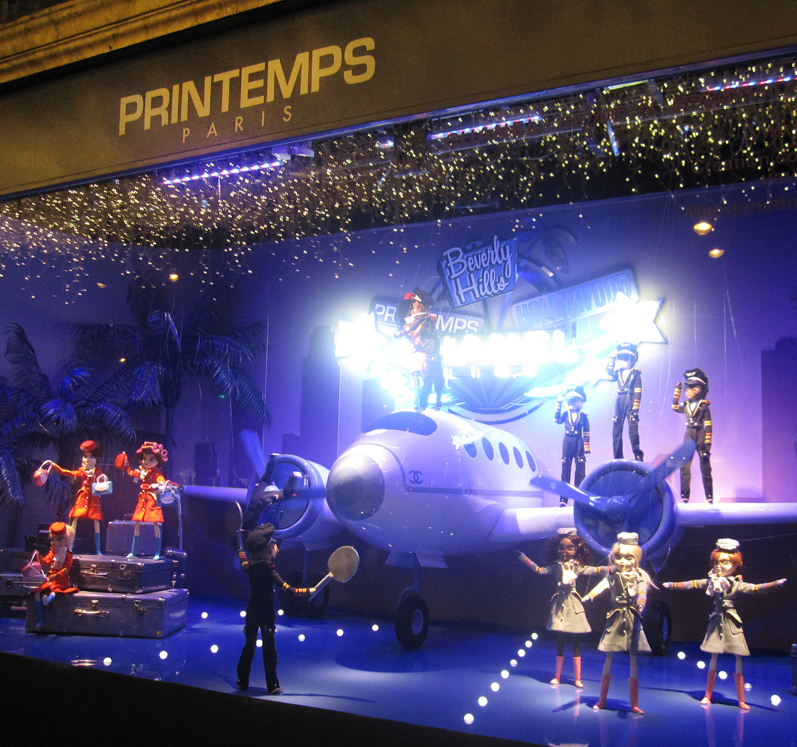 Dehix’s fantastical series of tableaux will be on display at Printemps through mid-January 2012. Theadora Brack is the Paris Correspondent with the travel website, Eurocheapo.com. Trekking to Paris in the near future? Check out the site for tips. Theadora’s bi-weekly column on Paris covers art, architecture, fashion, cuisine and shopping.